Ginkgo Biloba and Soy lecithin. It provides 60mg of Ginkgo Biloba and 1000mg of lecithin per daily dose. 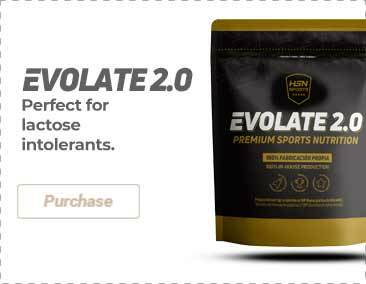 It provides 1200mg of soy lecithin per daily dose. 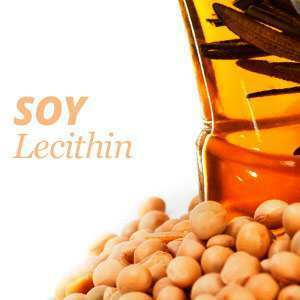 Soy lecithin. It provides 8160mg of soy lecithin per daily dose. Mobilizer of fat in the organism. Favours cardiovascular health and improves cognitive functions. Soya Lecithin, a natural source of phospholipids for optimal maintenance of cell membranes. Lecithin is the most effective natural substance to overcome stress. If you want to control your nerves and increase your memory, then you may find an excellent companion in lecithin. People who use this supplement on a regular basis are much calmer and handle their stress and nervousness more efficiently. Lecithin is a substance that is naturally found in brain cells. Consuming lecithin dietary supplements helps to improve concentration, lucidity, and it stimulates intellectual activity. The name lecithin comes from ancient Greece, and it means "egg yolk". In fact, this natural vital substance was obtained for the first time in 1846 from egg yolk. Much later, scientists discovered that lecithin is also found in many plants and in almost all living organisms. Nowadays, most lecithin comes from soy, which has a 2% of this natural vital substance among its ingredients. Lecithin is part of the fundamental building blocks of brain cells, but it is also involved in other organs and nerve cells. Lecithin is in charge of the transmission of nerve impulses and, therefore, it is crucial for learning and our ability to react. What are the symptoms of a lecithin deficiency? Who can specially benefit from Lecithin? Lecithin has several beneficial properties for the organism. It settles directly in the stomach and intestines during the digestion, which strengthens the mucosa. This results in a better protection of the stomach and intestines. One of its basic properties is to protect the stomach from the acids and pharmatheutical products, which usually attack the stomach lining. In addition, lecithin also protects the tissues and organs from harmful substances that food and medications may have in some cases. Lecithin helps to prevent dangerous and pathological changes for the cells in the liver and helps the organism to repair cells that have been damaged. Another property of soy lecithin for health, consists on preventing the absorption of cholesterol in the body which helps to reduce fat and "bad cholesterol". Lecithin nutritional supplements also have beneficial properties for the treatment of a stroke caused by an accident or to improve the state of bone fractures. Lecithin has other interesting properties since it is a basic component of brain cells and a substance due to acetylcholine, which is a substance involved in intellectual performance that helps to promote the ability to respond and learn. Lecithin can be found in many foods like nuts, eggs, lupines, soy, corn, peas, and buttermilk, as well as in many oils and animal and plant products. Many bakeries use this ingredient to bake bread, since it improves the aspect of the dough and keeps the bread fresher for longer. Soy beans or soy products have a particularly high lecithin content. However, using an additional dietary supplement is healthier, since foods have different lecithin content. Lecithin dietary supplements are available in granules and capsules, in different amounts. Although lecithin is present in many foods, it may be difficult to meet the daily requirements of the body only through food. In these cases, using an additional soy lecithin dietary supplement is the best choice. Old people, since it increases brain performance, protects from the hardening of the arteries, and helps to reduce fat in the liver. Soy lecithin is a completely safe dietary supplement, since it has no side effects. In the case of those that use medications, they should consult their doctor before consuming a lecithin dietary supplement, in order to not to interfere with the absorption of the active ingredients of medicines. Professionals claim that the results are very good with liver diseases, particularly for pathologies such as fatty liver, hepatitis, or cirrhosis. Lecithin is also a great help in the case of patients with anemia, hypercholesterolemia and all those disorders that affect the lipid metabolism, such as a fat excess or obesity. In this case, lecithin makes improvements where other therapies have no effect.